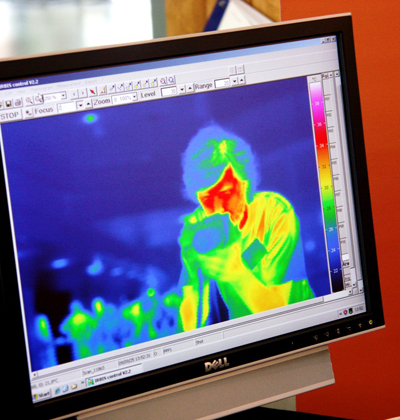 Visitors can try using a thermal camera, i.e. a camera that registers heat instead of light. Using a thermal camera can be linked to several types of research. Preparations: Appoint someone who can run the activity. Decide on a location and format. Organise the necessary materials. Market the activity. Challenges: Borrowing a thermal camera. Benefits: This visual and concrete concept usually attracts visitors.